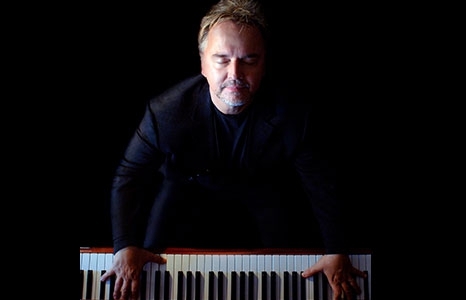 Peter Kater is a multiplatinum-selling pianist/composer who has released more than 70 albums, scored the music to over 100 TV and film productions and 11 Broadway and Off-Broadway dramatic plays. He has toured the world, playing at such venues as Carnegie Hall, The Kennedy Center and the United Nations. His many awards and honors include his 2018 Best New Age Album Grammy for his album Dancing on Water. He is also a proud recipient of the Environment Leadership Award from the United Nations. Peia Luzzi has gathered songs from ancient traditions that span across the globe. She carries melodies wrinkled and wise with time, laboring faithfully to revive their language, stories and original essence. “My lifelong creative expression has been intimately and ultimately guided, informed and nurtured by my muse. This album is an offering and homage to the endless well-spring of inspiration and healing that SHE nourishes within me,” says Peter Kater.